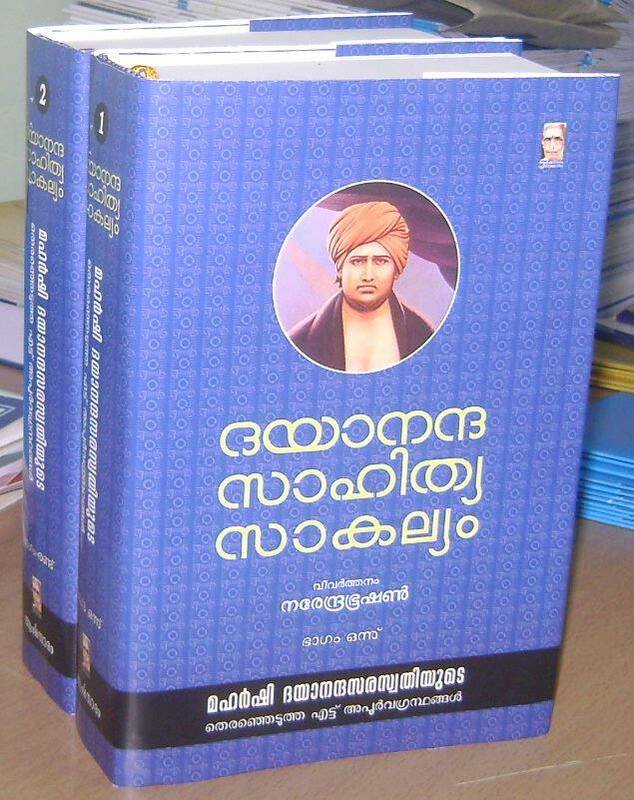 ഉത ത്വ: പശ്യന്ന ദദര്ശ വാചമുത ത്വ: ശൃണ്വന്ന ശൃണോത്യേ നാമ് . കടപ്പാട് : ദയാനന്ദസാഹിത്യസാകല്യം - മഹര്‍ഷി ദയാനന്ദസരസ്വതി , തര്‍ജ്ജമ: (ആചാര്യ) നരേന്ദ്ര ഭൂഷണ്‍. "An ignorant man has eyes to see but sees nothing, has ears to hear but hears nothing, has a tongue to speak but speaks nothing. The ignorant can never understand the hidden mysteries of knowledge. But it is to the learned alone that knowledge reveals its true nature, just as a woman longing to meet her husband, dresses in her best and puts on her finest jewelry, so as to display her charms to him." RIG VEDA 10: 17.4. 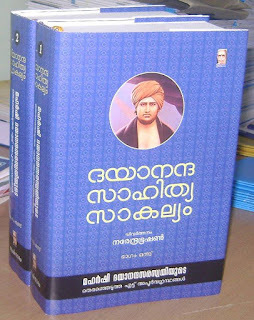 Dayananda Sahithya Sakalyam is the Malayalam translation of 8 selected books of Maharshi Dayananda Saraswati, by great Vedic scholar, late (Acharya) Narendra Bhooshan.